When we started Mellow, we thought "international" right away. And we actually have customers from all around the world right from the start due to our Kickstarter campaign. So our goal was to set up a reliable delivery system to anywhere in world while making it for future Mellow Boarders as easy as possible to receive their Drives. Can I Order a Mellow from Anywhere in the World? As taxes and customs vary from country to country, it’s difficult to make a total cost calculation for international shipping. But as an example, a customer from the US pays only 260 Euros on top of the product price for the entire handling (shipping, taxes & customs). For a customer from Australia it’s 309 Euros of extra costs. In the future, however, we will not be shipping directly to North America but will work with a local partner. The reason for this is that in Germany no insurance company covers product liability for shipping to the US. 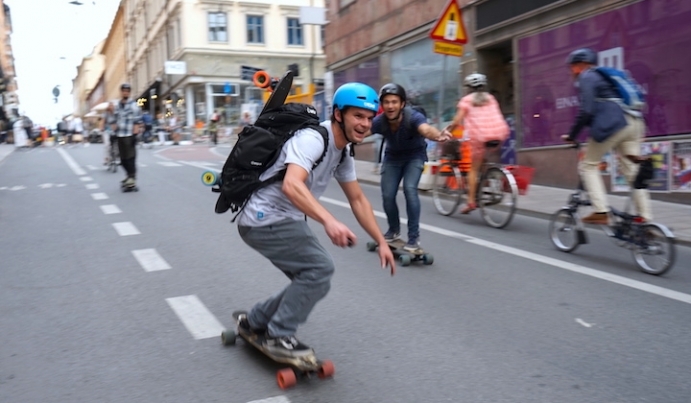 If the other way around you want to order in Europe directly from oversees you may want to keep some things in mind, which E-Boarder explains very well in his electric skateboard for sale article. Stay tuned for further insights by signing up to the Mellow Times.